2Minutes2Post, licensed & powered by Equibase, offers the latest in innovation for Horse Racing Enthusiasts and Handicappers on the market today. 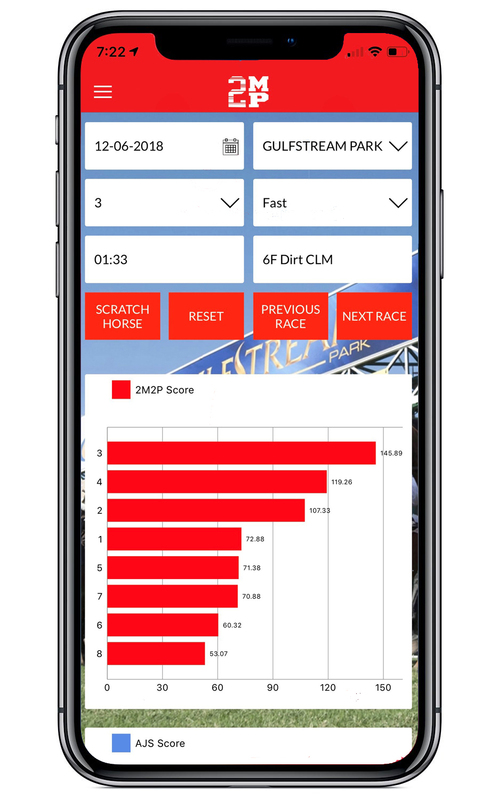 Built utilizing the latest technology on the Microsoft Azure platform, our systems process Past Performance data daily to give our users an advantage at any Thoroughbred Race Track in North America. Our modernized Insight Past Performance Programs with Dual Competing Proprietary Algorithm Generated Top Picks present normalized data, colorized easy-to-read charts, one page of data per race, and pre-calculated computations to save time. For more information about Insight PPs, click here. Unafraid to show our algorithms' performance, we offer free basic stats to the general public, and basic and advanced ROI Report Cards for our subscribers. Our products are available for Windows and Apple computers, iPhone, iPad, and Android devices. What a great show of appreciation to your customers!!! Don’t see that so much any more. A heartfelt thank you!!!! !